The Cross Country squad is one of the most successful minor sports in the School. Wind, rain or snow, Cross Country at Mill Hill still goes ahead. Whilst being a sport enjoyed by many as a Games option, Mill Hill also has a number of talented individuals competing in prestigious inter-school events. Each year Mill Hill’s Cross Country team excels in a number of local and regional races including the Barnet and Middlesex championships. Our results prove that Cross Country is thriving at Mill Hill, as many pupils place in the top ten in their age groups at these races. Every year we take teams to prestigious School races such as the Knole Run at Sevenoaks, the Radley Relays at Radley College and the South East Schools Championships at Harrow School and have achieved some real and improving team and individual successes year by year. 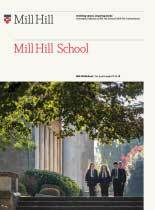 Mill Hill has regularly sent pupils to the English Schools Cross Country Championships per year. Competing in such a prestigious race (one in which the likes of Paula Radcliffe and Mo Farah competed not so many years ago) is a remarkable achievement. Under the loyal leadership of Miss Fox and with continued dedication to training, Mill Hill is in the running for a bright Cross Country future. Kit Nyman McKnight is the undoubted success story of the 2017 season. He followed up his first place in the Barnet Cross Country with a Bronze Medal in the Middlesex Cross Country Champs at Harrow School. This qualified him for the Middlesex team for the English Schools Cross Country Championships, the most prestigious running event in the cross country calendar – Mo Farah is a previous winner. He, along with Dmitry Veshchikov are now training at Shaftesbury Barnet Harriers and both are looked upon as genuinely exciting running prospects.